10/19/16 IMS introduces the lowest PMEI and PMI rates ever! As most already know, the USPS traditionally increases postage rates in January and this year is no different. These rates will go into effect on January 27, 2019. All of the domestic and international rates can be found here. Please don't hesitate to contact us if you'd like quotes updated or if any questions. On January 21, 2018, the United States Postal Service (USPS) is set to increase postage rates for some services. Note that IMS processing fees will not change at this time. IMS rates for PMEI, PMI, and Commercial ePacket ARE NOT CHANGING at this time. We don't expect changes to these services until at least late Summer 2018, however they are subject to change with 30 day notice. The postage rates that IMS pays are based on a "Negotiated Service Agreement" with the USPS and are not calculated off the published rates or timetables for these services. For anyone using USPS "First Class Package International Service" (FCPIS), your postage rates from the USPS are going up about 3.9%. This is a great opportunity to start using our Commercial ePacket service for your international packages! We can give you door to door tracking AND save you 50% or more to 31 of the most popular countries with more being added (no, I'm not kidding!). More information including rate charts will be going out to all customers within the next week or so. Please let us know if you have questions or would like comparison quotes prepared at the new pricing. United States Postal Service has notified partners with Negotiated Service Agreements of a price increase for International Priority Airmail (IPA) and International Surface Airlift (ISAL) effective August 20, 2017. The increase was planned to coincide with contract renewals which expired in June; however, we granted additional time to allow for coordination of technology changes and client notification. The decision was made to modify the contracts to reflect shape-based pricing to align with our increased costs in these products. Letters: Routing all via IPA (cheaper and faster). Flats: With the increase to ISAL (and not to IPA), it becomes cheaper to route certain countries (most notably, Canada) via IPA. Packages: Routing all via IPA. We’re hoping to have rates emailed to all customers within a week. Your business is important to us – we’ll strive to provide the best possible rate and service for customers of all sizes. Thanks for your business! Both the United States Postal Service (USPS) and Canada Post Corporation (CPC) have announced postage rate changes for January 2017. First, a note about IMS rates - The postage rates we pay differ from published pricing in that they are part of separate, negotiated contracts. Individual services may have different discount levels and even effective implementation dates. This process benefits our customers as work share opportunities drive the postage cost down and can improve turn times and ultimately, the delivery of your mail and packages. The following IMS services will see minimal increases on January 22, 2017. Rates for all service categories (letters, flats, packages, and m-bags) will increase an average of 3.8%. IMS all-inclusive rates will save customers up to 80% compared to First Class Mail (and Package) International. For packages, IMS provides an acceptance scan for customers using Endicia or Stamps PC postage software. Rates will increase an average of 3.0% (note that IMS rates for this service have not changed since May 31, 2015). IMS all-inclusive rates will save customers 50% or more compared to First Class Package International. 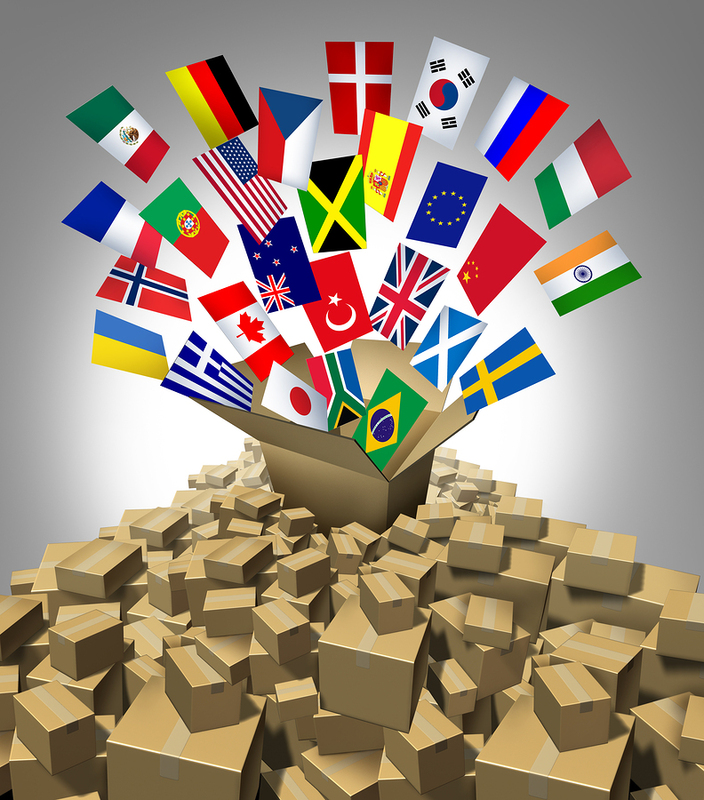 Service provides full door to door tracking to 29 of the most popular countries worldwide. Because of restructured rates, some customers will see a very slight increase, some will see a slight decrease in pricing as determined by weight and destination country. IMS all-inclusive rates will save customers up to 38% (PMEI) or 25% (PMI) compared to Retail. No changes to pricing for January 2017. Packages must fit into a standard USPS mail sack. IMS all-inclusive rates will save customer up to 55% (PMEI) or 40% (PMI) compared to Retail. Canada Post changes will be effective January 16, 2017. IMS does not publish direct entry rates as they are based on volume and the current exchange rate. Please contact us if you want updated pricing or a quote on a new project. IMS all-inclusive rates will save 35-55% compared to PMEI-PMI Retail (depending on volume, package weight, and country destination). Maximum package weights of 66-70 lbs (to most countries). Door to door tracking at www.usps.com. Consistent delivery via the most reliable network in the world. Most are aware of our very popular "Commercial ePacket" service that includes door to door tracking to 29 of the most popular countries (just added Hong Kong this month). One of the limitations however, is the 4.4 lb maximum package weight. This is where the new Drop Ship services will compliment perfectly as the weight limit is 66-70 lbs (most countries) along with the availability to most countries worldwide. All of the above services are available to either Endicia or Stamps.com PC postage subscribers. Once integrated with IMS, you can choose all "consolidator services" right from the international menu. IMS customers can also print the PMEI and PMI labels directly from our web portal (just as current). I know discounts of this kind are unprecedented in our industry and that's why we're so excited to bring this to our customers! Keep in mind that if you work closely with a USPS Account Manager we can make joint calls (as USPS "Postal Qualified Wholesalers"). We really value our relationships with the USPS and are happy to team up whenever possible. Please contact me - I'd be happy to discuss and offer an analysis of your international parcel costs and show you what we could offer. Thanks in advance, I look forward to hearing from you!